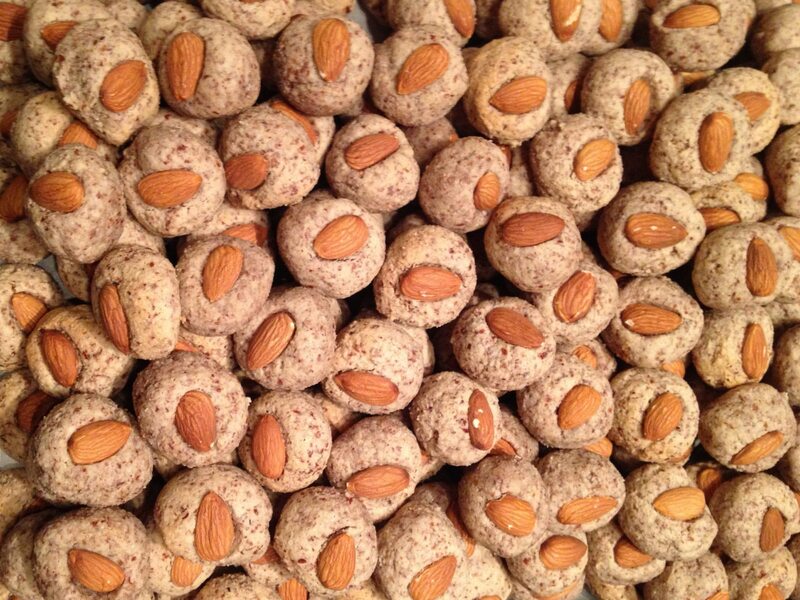 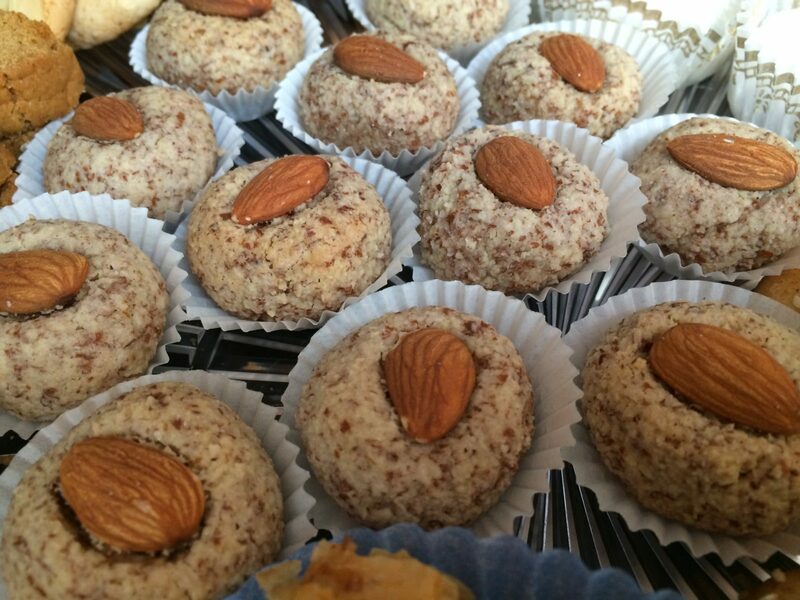 Almond Balls are wheat-free almond delicacies. 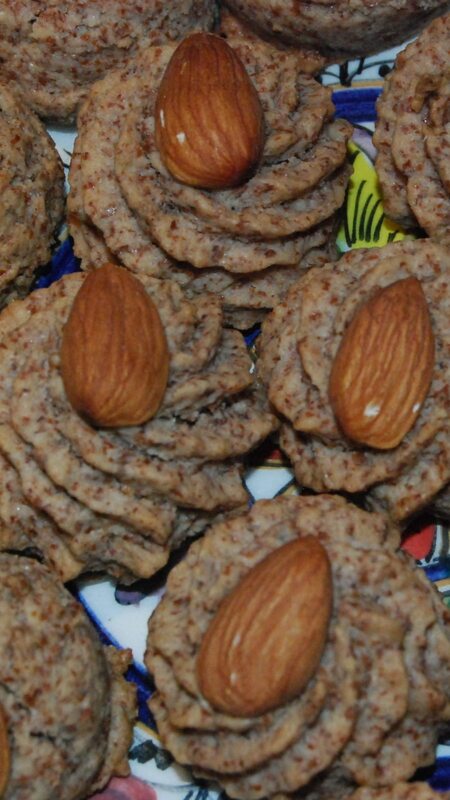 Almond Balls are a wheat-free twist on the traditional Amygdalotá cookies. 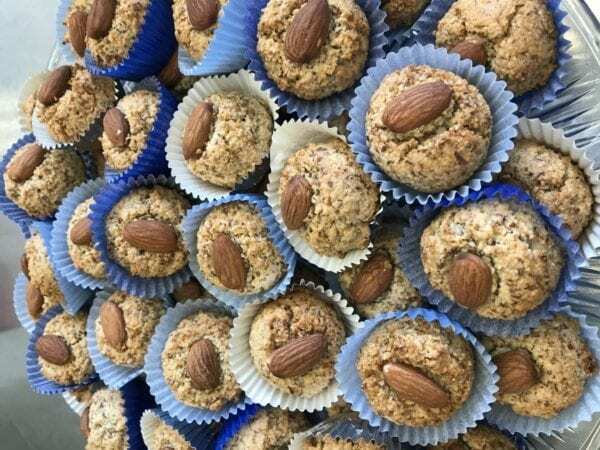 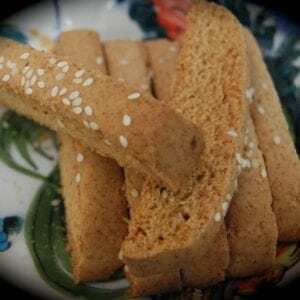 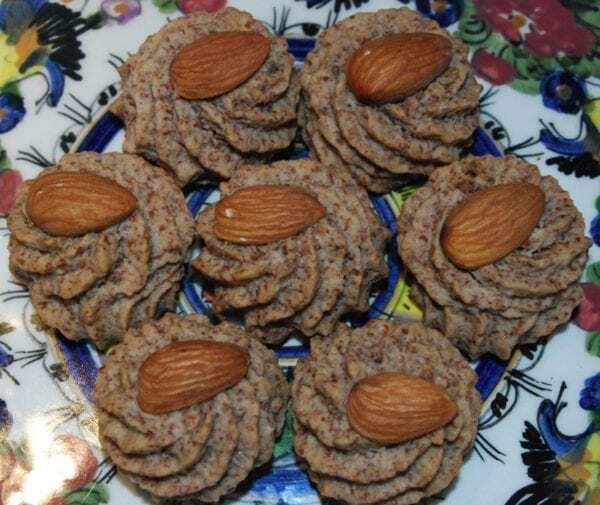 Subtly crisp on the outside while deliciously chewy on the inside, they are topped with a whole almond and make a wonderful wheat-free treat to offer at weddings, baptisms and nameday celebrations, or to enjoy with coffee, tea or milk. 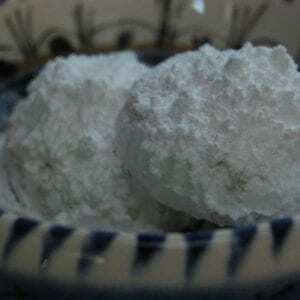 Ingredients: almonds, sugar, egg whites, almond extract. 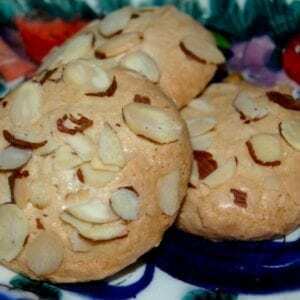 Allergy note: Contains almonds, egg.